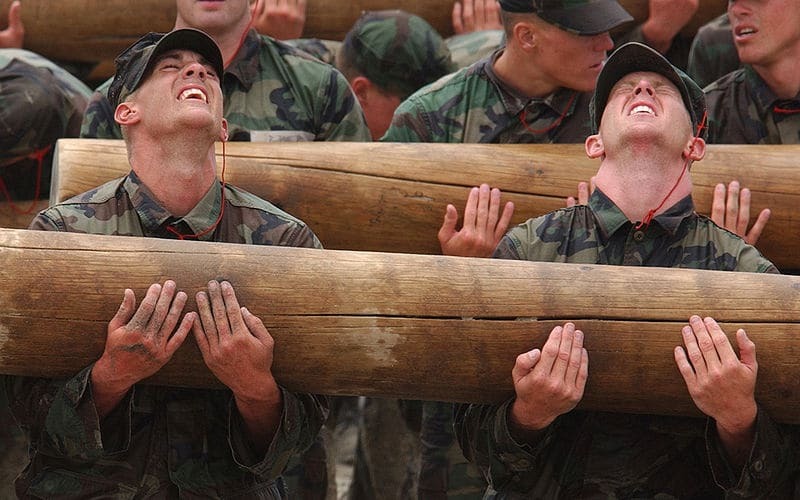 41 Navy SEAL Inspirational Quotes and Sayings - Never Quit. Never Consider It. 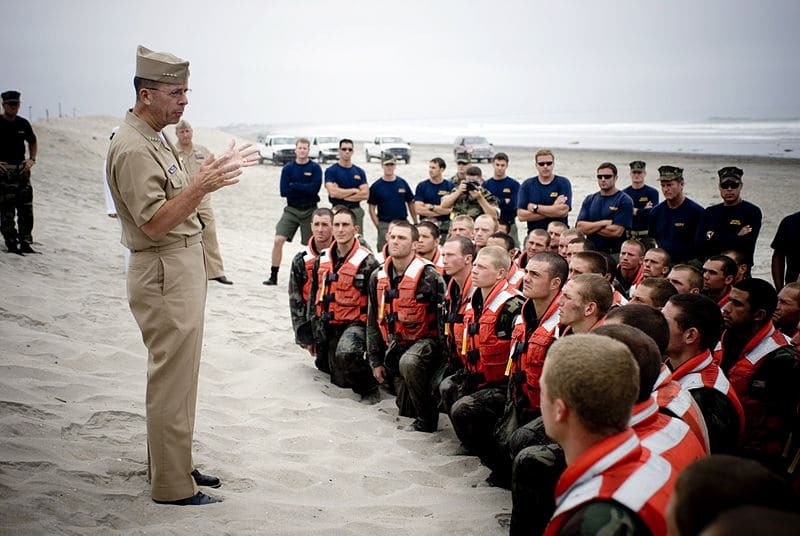 Do you want to succeed online as desperately as young Navy SEAL trainees who are trying to earn their SEAL badges? If so, you need some tremendous motivation boost, right? Because otherwise, in those low moments, you might be tempted to throw it in the bush and quit. Therefore, this post here should skyrocket your determination into the stratosphere. The reason why I found these quotes so crucially important is that (as you will see below), everything starts in our minds. You will win or lose in your mind. And therefore, being mentally strong is so awfully critical, if you ever want to succeed in life and business. Because both of these offer you plenty of challenging situations. “It is a rough road that leads to the heights of greatness.” – Seneca, 50 A.D.
As for the quotes below, I highlighted certain parts in some of them – those that I found particularly insightful. I hope you will find them as well. Also, I have handpicked all these Navy SEAL inspirational quotes with bloggers and internet marketers in mind. … Points where everything seems to be covered with darkness and hopelessness. How you get through when you are in those lowest points in your business life? … Give up and quit? If you don’t want to quit, you need to find ways to motivate yourself to keep going. It is as simple as that. And that’s why I have written these posts about Navy SEAL quotes that keep you going. I have included only those Navy SEAL quotes that are useful for bloggers and internet marketers. Just in case you did not know (I did not), Hell Week is a grueling 5 and 1/2-day long training. It is the ultimate test for SEAL trainees, designed to separate “the wheat from the chaff.” It includes brutal physical conditions – cold, wet, and devastatingly hard operational training on fewer than four hours of sleep. Hell week is the one single event that forces majority of SEAL hopefuls “ring the bell” and quit. Make up your mind to do it. Proceed one step, one hour, one evolution at a time. Help your team mates whenever you can. 1. The common denominator among these men was the fact that they all had a very strong competitive personality and they really enjoyed competing against challenges most others found too difficult or even impossible to overcome. 2. I saw many people quit at BUDS who had all the necessary attributes and traits required to serve as a SEAL, except one — the ability to remain mentally focused when faced with continuous and very stressful challenges or situations. 3. Most planning experts agree that the majority of people, organizations, etc., that fail to reach their goals do so because they did not apply an adequate form of measurement to keep track of their progress. 4. Mental toughness in this situation means consciously noticing the things that you are able to do well and honoring your efforts with positive thoughts. 5. The guys that start BUDS thinking that they won’t make it…DON’T MAKE IT! Those who begin BUDS with an “I will die before I quit” mentality are the guys who are standing tall on graduation day! 6. Toughness involves having control over your thoughts. In a situation where your fitness level is not where you want it to be and your negative thoughts are getting the best of you, you have a choice. You can let the negative thoughts take over and drain you of energy, or you can consciously choose positive thoughts that empower you and push you to press on. 7. Instead of thinking about the entire 6 month course, the week’s training schedule or even the daily schedule, many trainees focus on literally getting by one small event at a time, be it getting dressed, eating breakfast, running to the obstacle course, completing the obstacle course within standards, etc. — the focus is one successive micro-evolutions or time frames. 8. In the SEAL culture, winning and accomplishing the mission at hand is to be done at all costs. 9. Addictions: People lacking confidence often resort to destructive behavior such as overeating, abuse of alcohol or drugs in order to cope with their feelings of inadequacy. Marcus Luttrell (the author of the quotes) was the only SEAL who survived SEAL Team 10 Operation Red Wing in Afganistan (June, 2005). On that tragic day for SEALS, 3 SEALS and 16 Special Ops were killed. 1. “I had no answer to those questions, only hope. With absolutely no one to turn to, no Mikey, no Axe, no Danny, I have to face the final battle by myself, maybe lonely, maybe desolate, maybe against formidable odds. But I was not giving up. 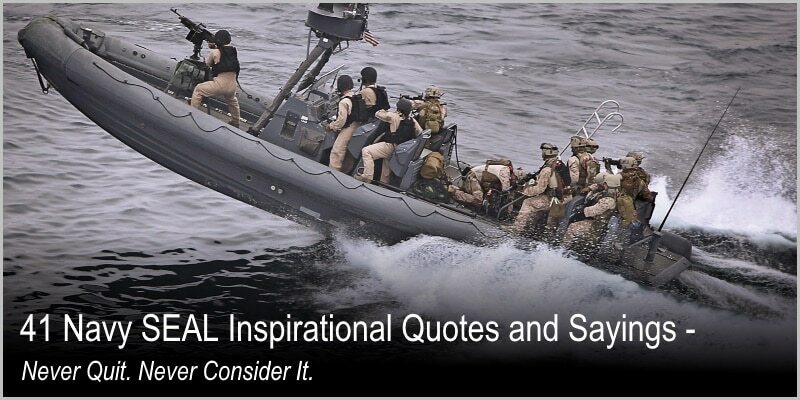 Now that you have read these Navy SEAL inspirational quotes, I am curious what impression you came away with. Did they boost your motivation to another level? And which one did you like the most? Leave me a comment below, please. Hey, Jimmy, and thank you for the comment. I am happy to hear you found the list of these Navy SEAL inspirational quotes helpful. Awesome! Hi there, truly inspirational stuff. 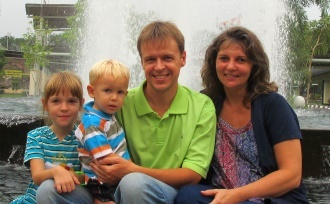 The fact that all of the above really does apply to everyday life situations, whether playing with your kids or doing your daily job routines at work and home. As many people out there would certainly agree, civilian life can be very daunting and sometimes , overwhelming to the point of despair. The will to push onward day after day, is much like an obstacle course, beating yourself up to try and do better. But just a few precious words of encouragement can have a great impact on ones’ self-esteem…to do better for yourself and others. Very well said, do you agree? Thank you for sharing your thougths. It’s encouraging to read that comment again. It’s true – in the world today, there are so much compromise… And therefore, it’s encouraging to know, there are people who don’t compromise. Thanks for the quotes! I think they are very inspiring and definitely useful for my presentation coming up next month about Navy Seals, particularly during Hell Week. After going through all that training, were you more resilient? And did you find that it was crucial to clarify your priorities throughout the training? Hey, KED, and thank you for sharing your thoughts. I am glad to hear you found the post helpful for you. And no, I have never gone through Navy SEALs training or its Hell Week myself. I just disovered that these Navy SEALs quotes can be extremely motivating for bloggers and online marketers. That’s why I collected them here. ” I never saw a lonely dieing bird feel sorry for itself. ” The above sentiment was given to me by a learned military veteran who believed this lonely bird is the real deal from the Seal in the fight. Hey, capt Anthony R Meurer. Thank you for the comment and input. How well said indeed. I like it. Thank you for the comment. This quote is a great encouragement to me as well – even now while reading your comment. So thank you for picking it. I don’t know about you but I have found that to succeed online you need to have perseverance. Sometimes (at least in my case) things don’t go as expected and I face tough times – psychologically tough times. These are the times when I feel a great temptation to give up and quit. And these are times when I need quotes like this one here most. And to tell the truth, that was the reason why I wrote so many *quote* posts in my early days – just to encourage myself and keep myself going. I collected motivational quotes about perseverance, goal setting, honesty, mental strength, procrastination, difficult times, anxiety, integrity, etc., etc., etc. Honestly, they have helped me a lot. Awesome! Thank you so much for these quotes! This is the motivation i needed at the moment. I am a woman and I am not affiliated with the army or any special unit. I live abroad alone,homesickness and stress from work gets the best of me alot of times. I consider myself a very strong person, but just like everyone else I need to “refill” and do things one at a time. Here are 75 more perseverance quotes that have helped me a lot. See here now. Thank you again, Sha, and have a nice day. Take bits and pieces of what’s written here and apply them to one’s daily life, you’ll be a stronger person. Hi, Raider man, and thank you for the comment. It’s true – these quotes have such high value. Sometimes when I found myself demotivated, I come here and read those Navy SEALS quotes – they really pump me up again. I have noticed that even the strongest and most successful people on Earth need motivational boost – again and again. It’s not like you fill yourself with these motivational quotes and then run the next 12 month full speed. In fact, what really happens is that you get a motivational boost but it is only for a short time. Soon you will discover that you have run out of gas and need to find a “gas station” to refill again. That’s why I collected these inspirational quotes – to help people ‘refill’ themselves again and again. Thank you very much for dropping by and leaving a comment. I appreciate it a lot. Thank you very much for taking time and dropping some lines. It’s a great quote indeed. Good reminder for myself today :) Thank you for pointing it out! Back in my younger days I was a support guy in an infantry company, nothing so elite as Navy SEALs. Still, these all ring true for my past life as a soldier and my current one as a blogger. I especially like the one from the SEAL Training Guide about focusing “one small event at a time” rather than overwhelming ones self by being distracted by the scope of the larger challenge. I liked that one too, sir. It’s just so easy to get overwhelmed by the scope of whatever bigger challenge we face and we all know what happens next – we tend to give up and quit. That’s why it’s so important to divide that challenge into many micro challenges and then accomplish them one at a time.